In this video, we give you the latest breaking news on the imminent U.S face off with Russia and China. We go over all the latest moves committed by U.S president Donald Trump, as well as significant moves by Russia and China countering the United States. 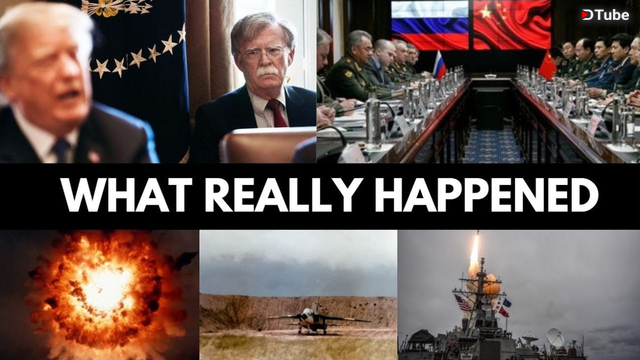 We of course cover John Bolton, Russian Mercenaries, the petrodollar, Taiwan, movement of the U.S Navy, aircraft carriers and the possible U.S strikes as Russia is accused of jamming U.S drones and much more. Do you need any more information to really understand that the MSM are bloodthirsty psycho's in the pockets of the military-industrial complex? PreviousWhat Just Happened And Who Is Really Responsible?